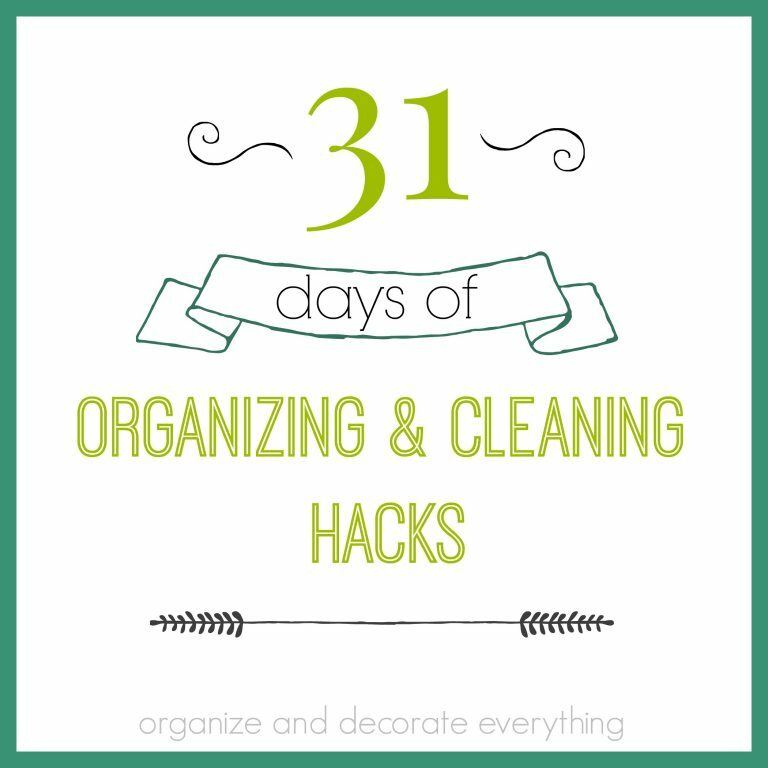 Welcome to day 24 of 31 Days of 15 Minute Crafts. I love making things from nature especially because of the low or no cost. I also think bringing nature in adds a cozy and relaxed feeling to my home. I appreciate the nature surrounding me, so why not bring it in and be able to enjoy it even more. 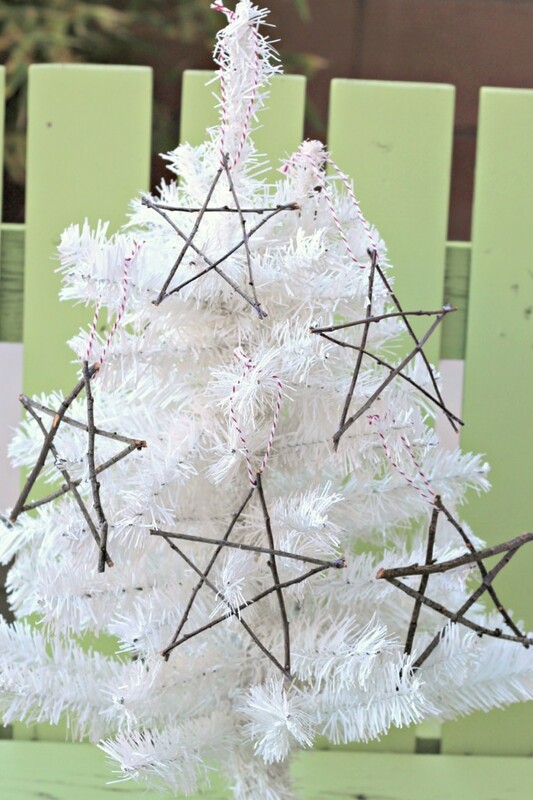 I wanted to make Twig Stars last year but wasn’t able to get it done so I made sure I put it as a craft priority this year. 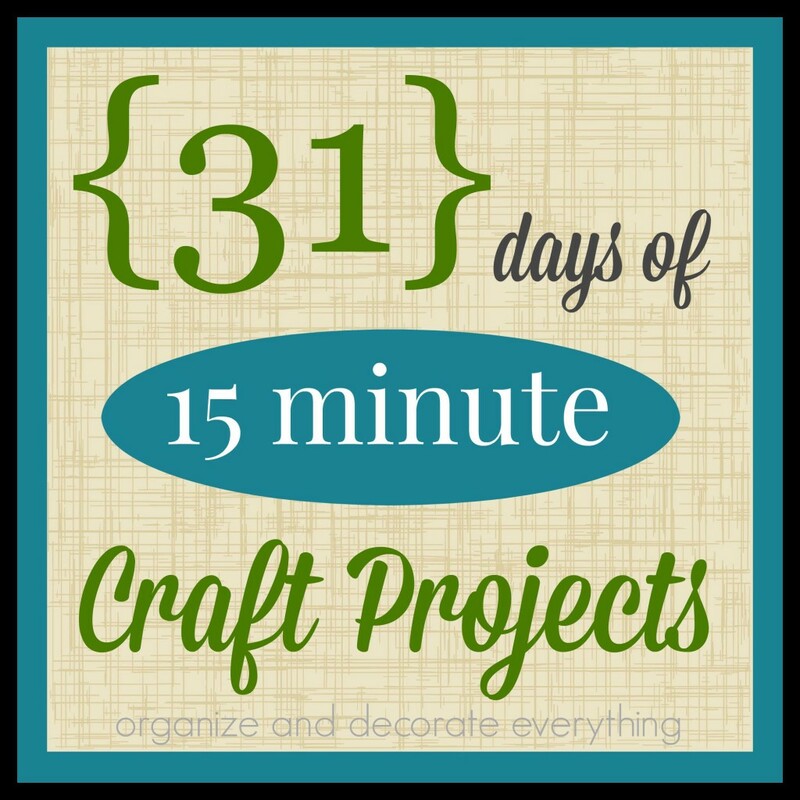 My kids love them so it’s the perfect project to get them involved in. In the corner of the back yard we have a dead tree. We’re just renting and the owners haven’t done anything with it so it’s just there. Most of the time it bugs me but it’s a good tree to cut branches and twigs from for projects. It’s also perfect for Halloween since it looks a bit spooky! 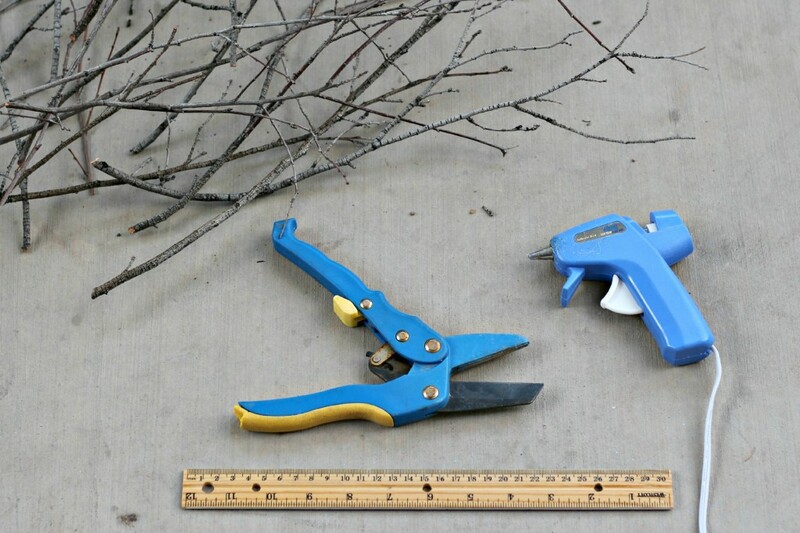 Cut a few branches from a tree then cut them to the size you want. 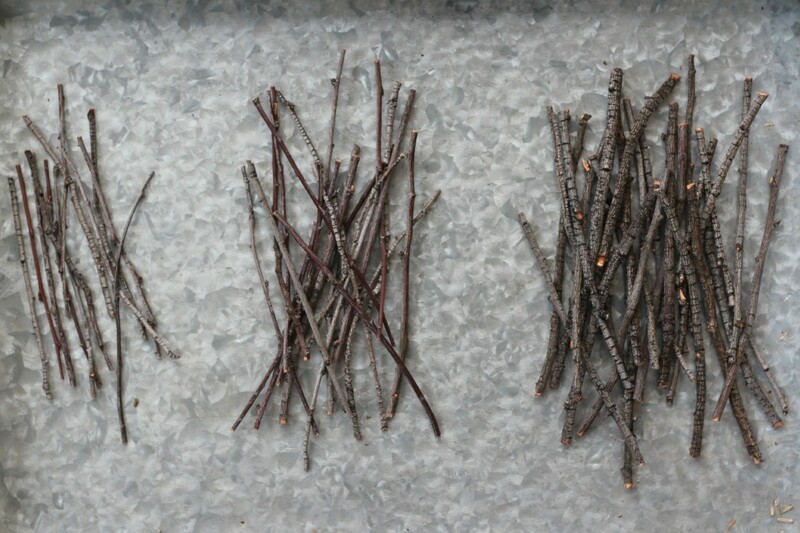 I cut most of the twigs at 5″. 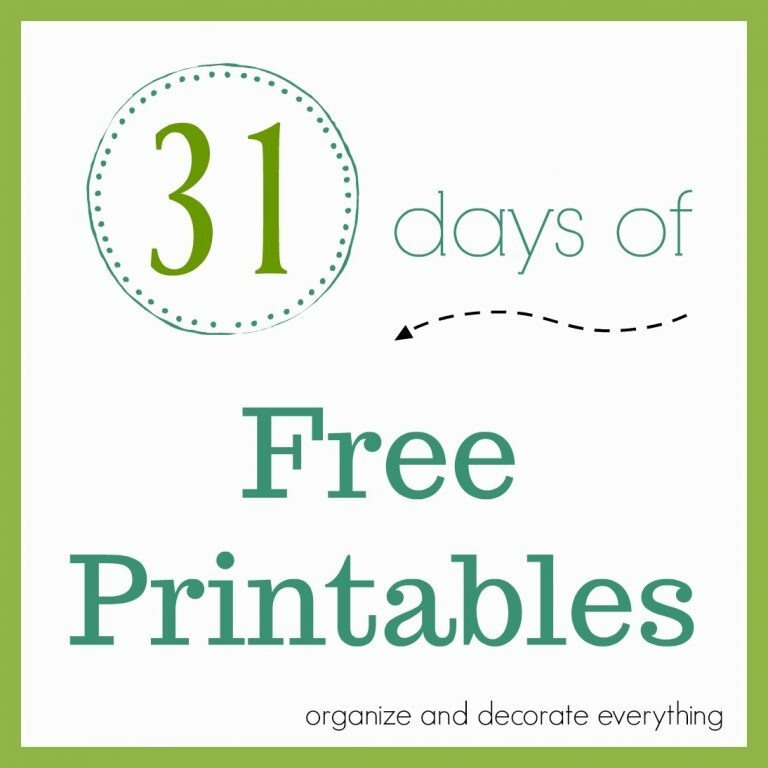 I have a few that are 4″ because that’s the longest I could get from certain branches. 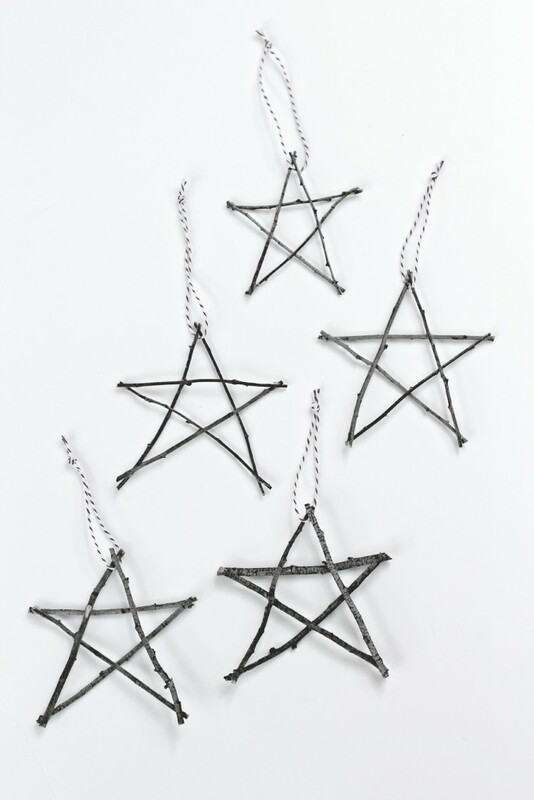 I divided them into different lengths and thicknesses to make the stars more uniform. 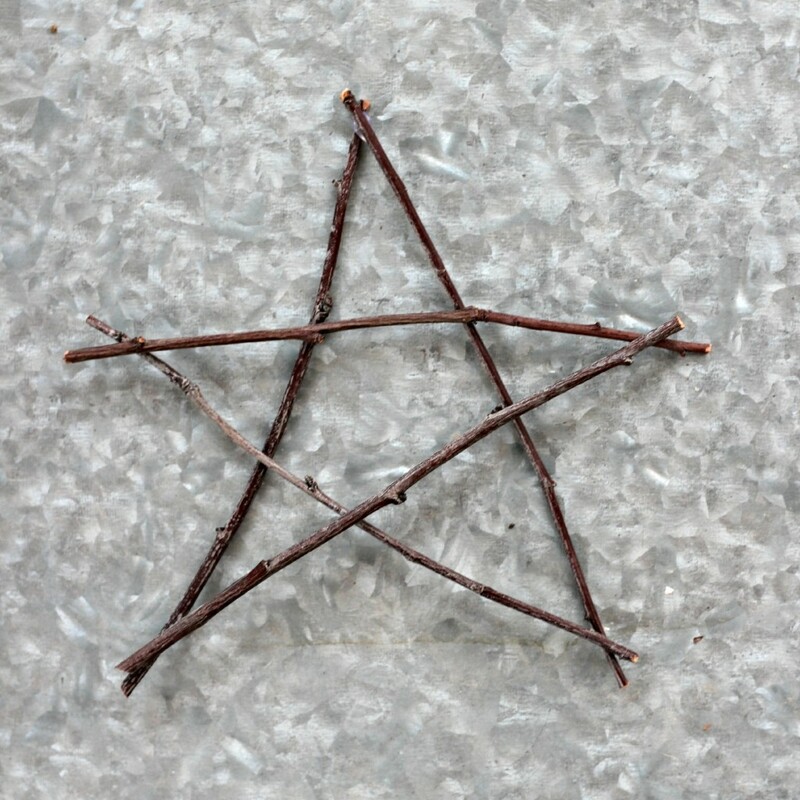 Lay out some twigs to form a star. 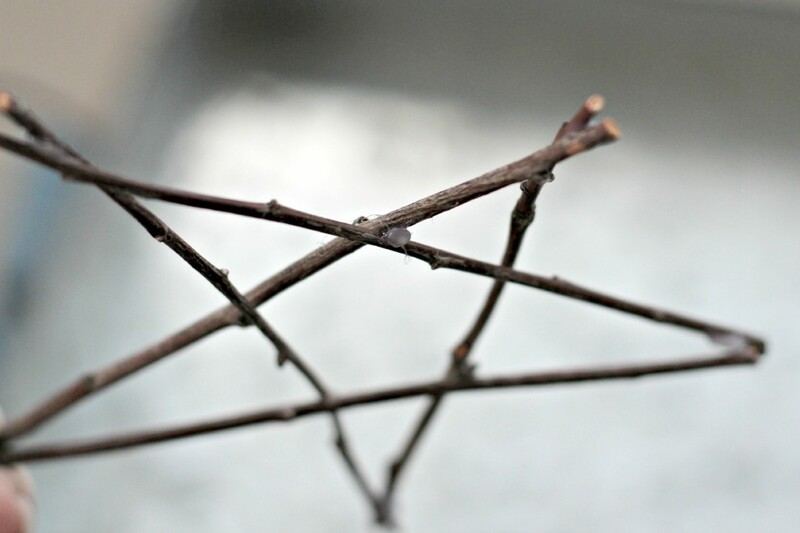 The twigs don’t need to be perfect or straight. Glue the points one at a time. Glue a couple of the twigs together in the center to make it more stable. Since we’re using hot glue it dries quickly. 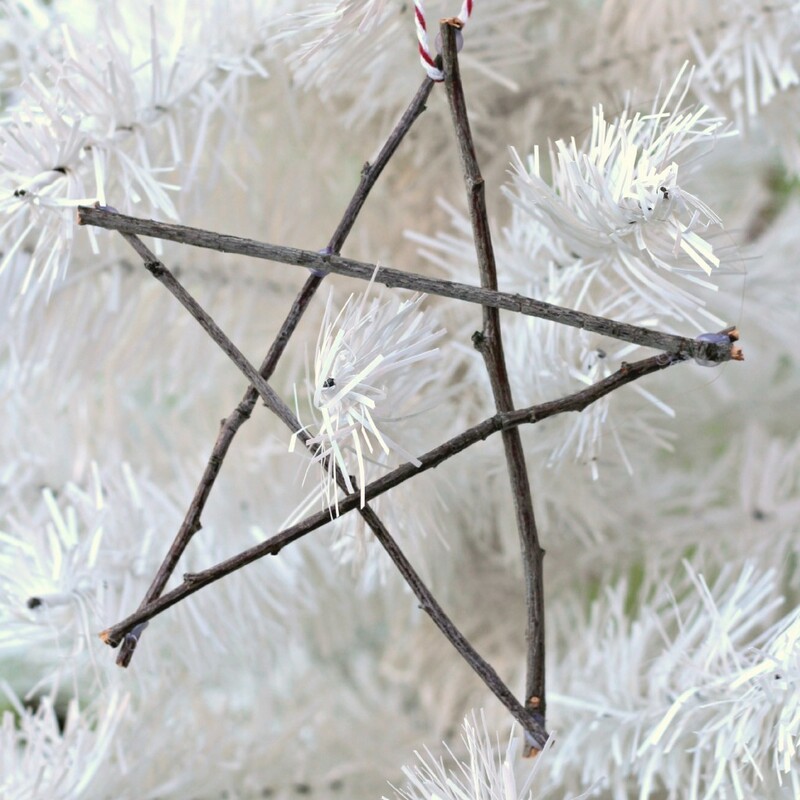 Add ribbon, twine, or string to the twig stars to be able to hang them on the tree. 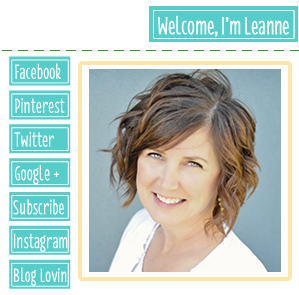 You could also string them together to make a garland. 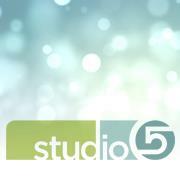 They would look great on a gift or also on a wreath. Use your imagination on how you can use them. 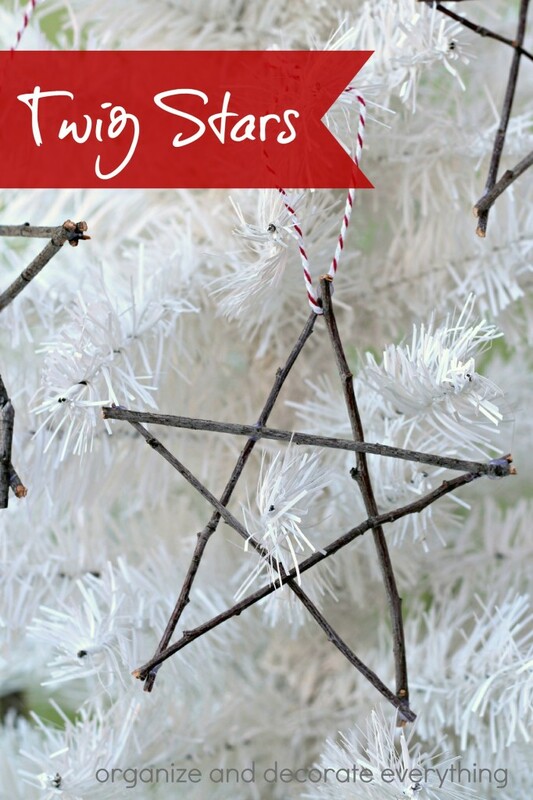 Each twig star takes about 5 minutes to make so you can make 3 in 15 minutes. More if you’re faster than me.